Winter can be a difficult time to get kids moving and active indoors. But it can be done! Here are some great tips on keeping the kids active and/or engaged in something productive and away from video games in the winter months. 1. 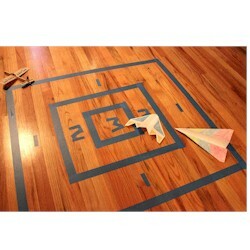 Make a Paper Airplane Landing Strip and Have Target Practice! This is super easy and you should have everything you need around the house. 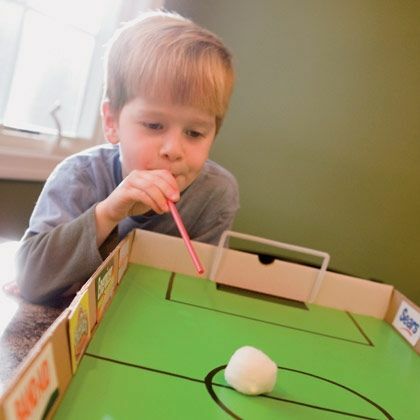 Build a tabletop soccer field using a cardboard box lid; cotton balls and a straw. 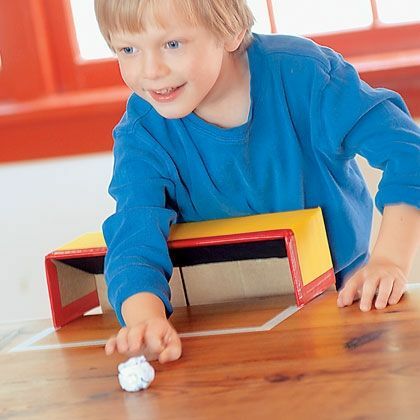 Draw your goals on the bottom half of the box and use the cotton ball and straw to blow the “ball” back and forth. This will take up lots of energy, even if they are sitting still. All that breathing is good for relaxation. This is a great activity for kids who have anxiety. 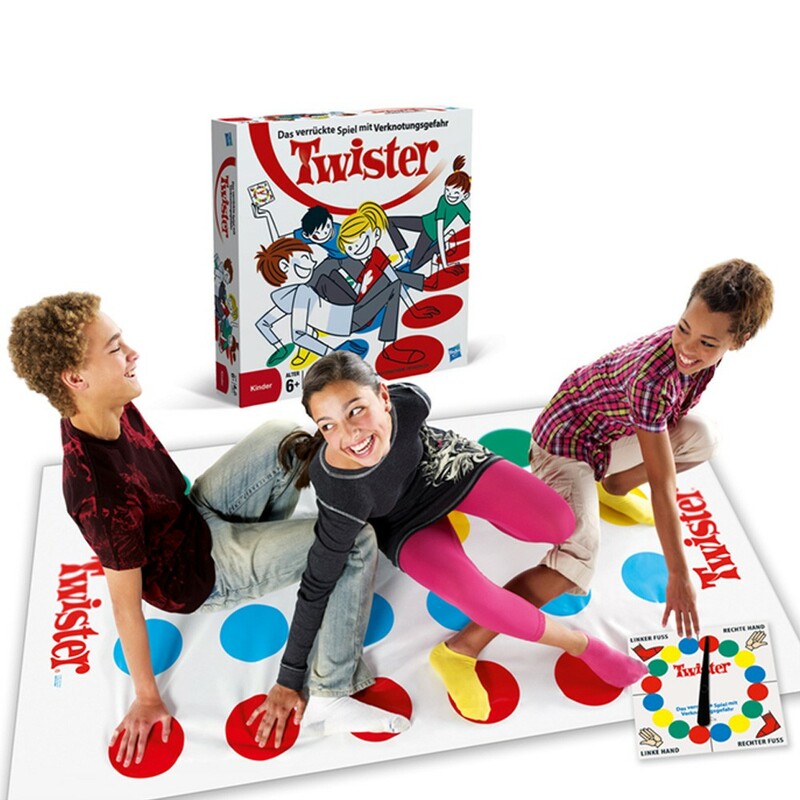 This classic game is sure to keep your kids moving and occupied indoors during the winter. I know we love it at our house. 4. Set up a Mini Trampoline! 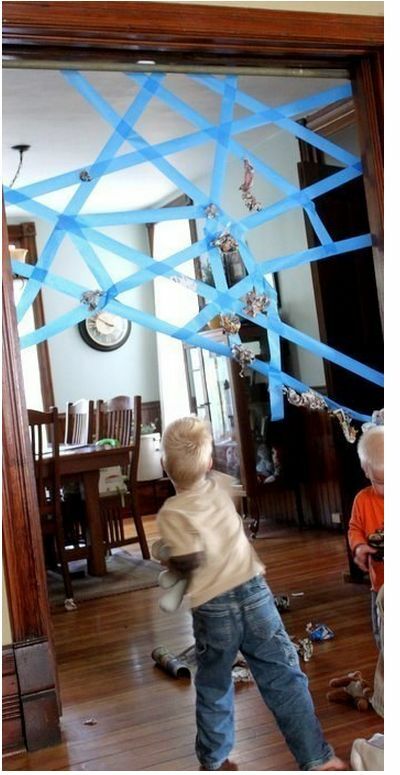 Build a sticky spiderweb with painters’ tape and throw balled up paper into it to see how many “flies” you can catch. Sure, you can build a fort the old fashioned way with blankets and furniture. 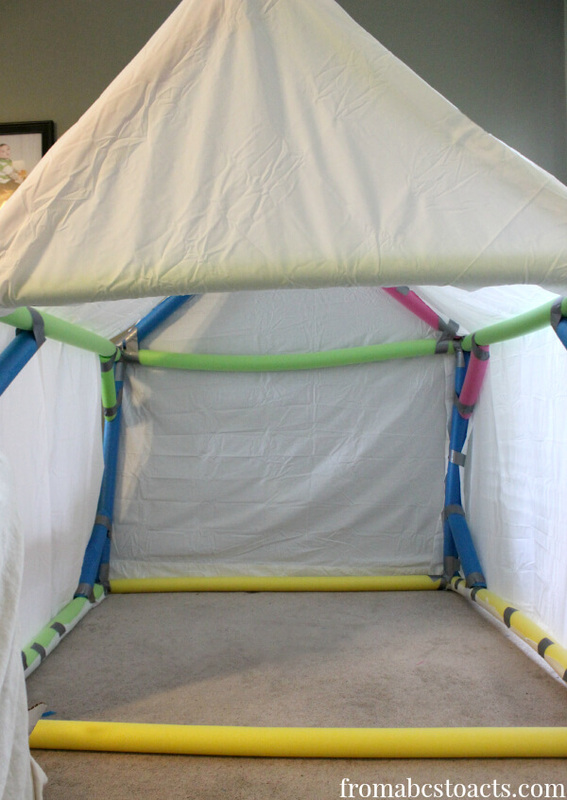 But check out this cool fort/playhouse made from pool noodles and sheets. Fun! 7. 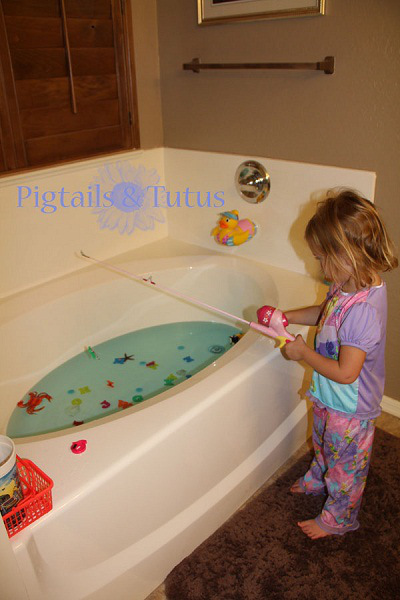 Fish in the Bathtub! Bathtub play is always fun. Toddlers and preschool aged kids will love this one. 8. Make Snow in the Bathtub! This is a great activity for kids who live where they don’t get much snow. Or even for kids who want to play in the snow, but it’s just too darn cold outside. With baking soda and water, this is super easy to make. It also cleans up easily and your bathtub will be sparkly clean when they’re done. Win win! 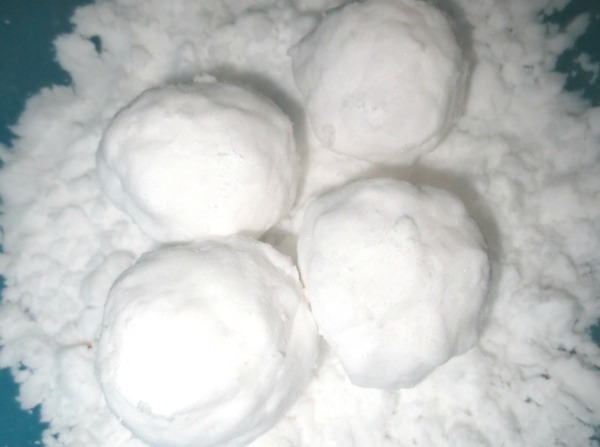 To make: Using baking soda, add water slowly to get desired consistency then make snow balls. Tip: If you put the snowballs in the freezer for thirty minutes, they will be crunchy like real snow! Cold wintry days can make for some bored kids. Make sure you have fun activities on hand to keep them active and busy indoors. There are no excuses to a bored child during winter… This blog proves that kids can have fun indoors too! If your children love the snow, why not transform your play set into a snow fort? 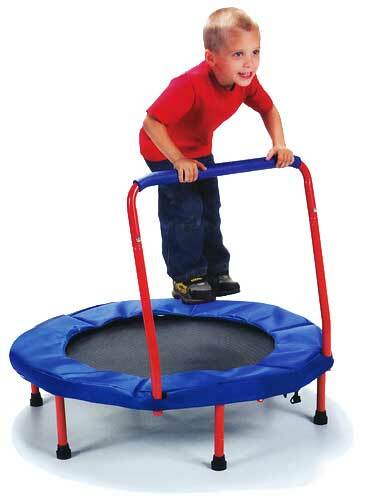 WOW this is very enjoyable for your kids, your kids will get too much fun after getting trampoline.